Without the use of modern electrical appliances, it is extremely difficult to secure a comfortable and cozy stay. For this reason, air conditioners, dishwashers, convectors and other appliances that facilitate life, confidently entered our lives. But perhaps the most sought-after appliances is a washing machine. This is due to the fact that the washing machine reduces manual labor. After buying such a desirable technology is to figure out how to connect the washing machine with their own hands. 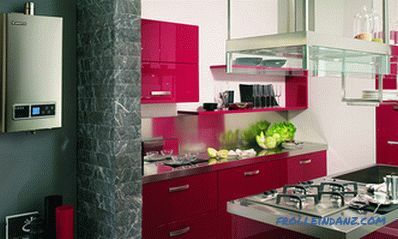 In this article we will offer you instructions for self-installation of this unit. We will divide all the work into several successive stages. What is the distance from the nearest engineering services. We pay attention to the electrical wiring, sewer and water supply. It is to these communications that the washing machine will be connected. Will it spoil or decorate the look of the room? Whether there is a flat surface at the selected location. Whether it will be convenient to use. Having considered all the details, proceed to the next stage of preparation - dismantling of shipping parts. This is an extremely important step, because if you ignore it, then when you start important nodes of the machine will fail, and you will not have time to do even one wash. As a rule, it is necessary to remove the shipping bolts, wooden beams and brackets. The dismantling process should be carried out carefully so as not to harm the appearance of the unit. To avoid mistakes, it is worth once more to get acquainted with the attached instructions from the manufacturer. resistant to aggressive conditions of use. 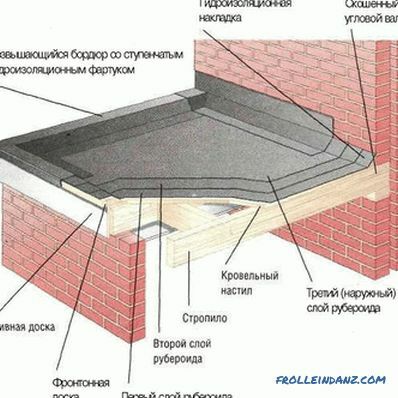 If the selected surface does not match these parameters, it is important to carry out the preparatory work. 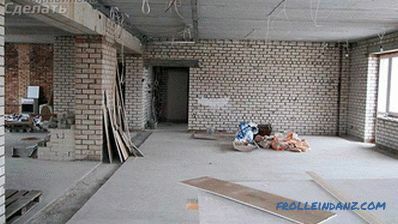 For example, you can make a new cement-sand screed, put tiles and the like. Most importantly, the surface was perfectly smooth, check the level of horizontal. After all the preparatory work has been completed, you can begin the direct installation of the machine. To do this, you must have a building level. On the top cover of the machine checks the evenness of the installation. The maximum permissible deflection angle is 2 °. The horizontal is very easy to adjust: for this you need to adjust the legs of the unit. It’s forbidden to level the machine by placing objects under the legs! The only thing that is allowed is a rubber mat. It can serve as a protective element on a sliding surface. The unit will be installed securely, the legs are tightly fixed, and the floor is level. 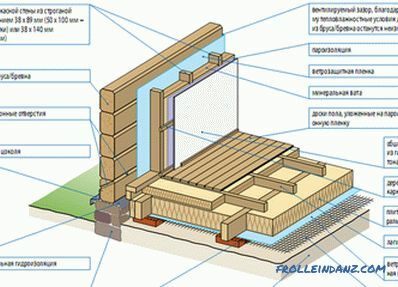 For fixing the supporting structures it is necessary to use fixing elements. To check the correct installation, you need to shake the machine diagonally. If there is no fluctuation, then the work is done on "5+". Otherwise adjustment is required. Purchase a rubber hose of greater length. In the first case, the task is quite simple. 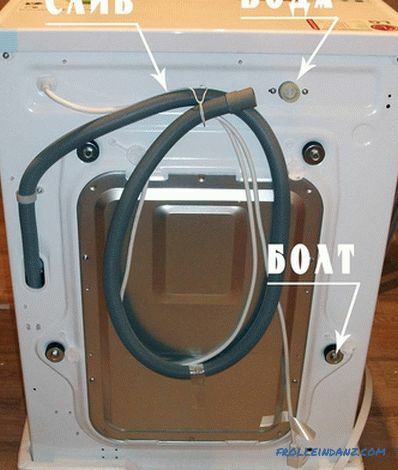 You just need to connect the product through a hose from the point of the fence to the nozzle on the washing machine. Ensure that there is a rubber seal on both sides of the hose. Otherwise, water will leak. 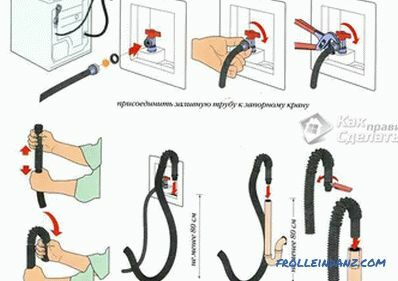 When connecting the hose, three important requirements must be fulfilled: first, it is unacceptable lay the hose in a place where there is a risk of mechanical damage. The hose can be brought, for example, under a bath; secondly, the hose is not allowed to stretch. 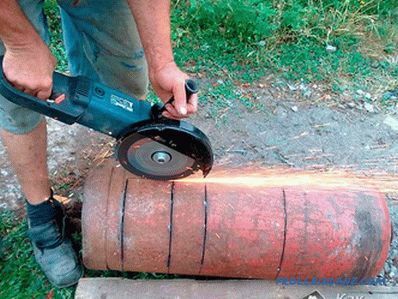 During the operation of the unit, deformation may occur due to the vibration of the machine; thirdly, the pipeline must provide a tight and reliable connection. If you follow these simple rules, further operation will not cause any problems. As for the second option for connecting a machine - stationary, here you have to work harder. To implement this plan will require the use of metal or polypropylene pipes. But immediately it is worth noting that as a result of using steel pipes for this purpose, important nodes may be blocked due to rust particles. 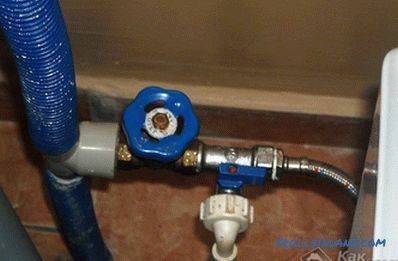 It is better to opt for plastic pipes. The fixed connection method is used in rare cases. The best option was and remains a flexible hose. 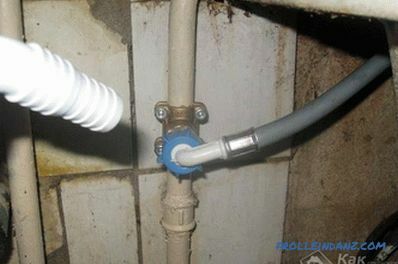 The connection must be made using a ball valve. This is necessary so that the water supply can be suspended. Before entering the washing machine it is worthwhile to install a small coarse filter. This will protect against problems with clogging of internal nodes. Water is connected using ready-made tap-offs or using a tee from the main pipeline. 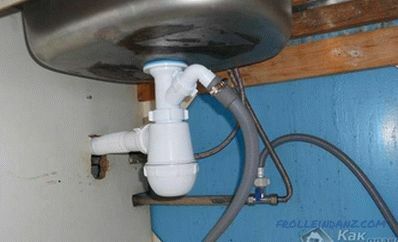 In the first case, the drain hose goes to the sink, toilet or bathtub. As for the second option, there may be some difficulties. through the siphon. As a result, the machine will be protected from getting into it unpleasant odors from the sewer system. You can also position the hose obviously in such a position that a water seal is formed. From the level of the floor to the point of the bend of the hose must be at least 500 mm. To connect the hose to the sewage system, you need a special rubber transition from the smaller on a larger diameter. As a result, the connection will be tight. 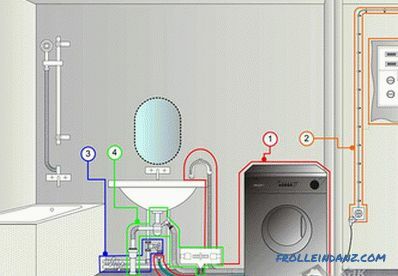 The washing machine itself must be connected to the electrical network with electrical safety requirements. 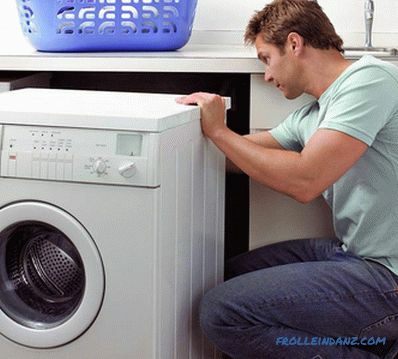 In most cases, a washing machine has a high power consumption of 1.5-2.5 kW. Moreover, the machine is constantly in contact with water. Take care of a separate power line. To implement this condition, it is necessary to lay a separate line from the switchboard to the unit. If this procedure is performed after the completion of repair, use a special plastic box. They will not spoil the look. Activate special means of protection against electricity. Like any other household appliance, the washer should be connected through a safety device. For this you can use a circuit breaker. In the switchboard, you can install a residual current device (RCD), it will protect against possible surges of electricity, as well as protect against leakage of electricity. Use electrical circuits that will be suitable for operational and technical characteristics. In particular, it is recommended to use wires with three wires, and a cross-sectional area of ​​1.5 mm 2 . 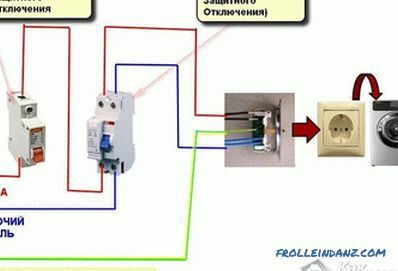 The outlets are connected according to the diagram. There must be a protective grounding. The ground wire must be connected directly to the ground bus, which is located in the shield. It is not allowed to connect the ground wire to a water or heat meter.In the event of an emergency, these devices can fail. With regard to the choice of sockets, from the point of view of security, the ideal option is a socket with spring-loaded contacts. Observing all these recommendations, you will relieve yourself of the need to use extension cords, because in this case the contacts may become hot, which will cause the unit to break. It is also not recommended to mount the outlet in a damp room. Therefore, it may be better if the installation of the outlet for the washing machine will be carried out in an adjacent room. When all installation procedures are done, you can perform the first trial run. To do this, open the valves for water supply, connect the machine to the mains and check for drainage to the sewer. In the process of powering and draining make sure that there is no leakage and other errors. 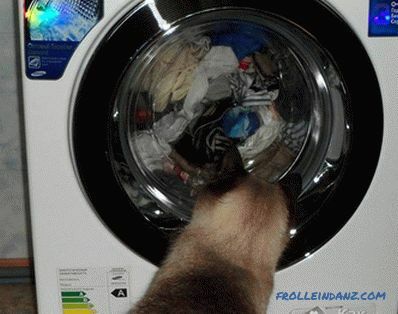 As recommended by the manufacturer, the first wash should be done without laundry. The water heating level is set to the maximum position - this will remove technical grease from the drum surface. If the washing cycle is completed successfully, then the washing machine is ready for its subsequent operation.